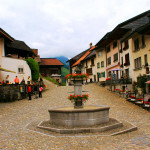 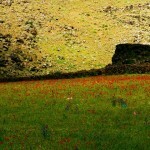 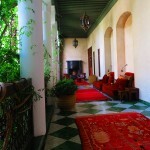 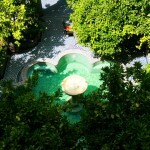 It was early in the morning. 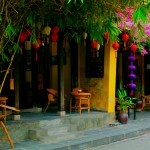 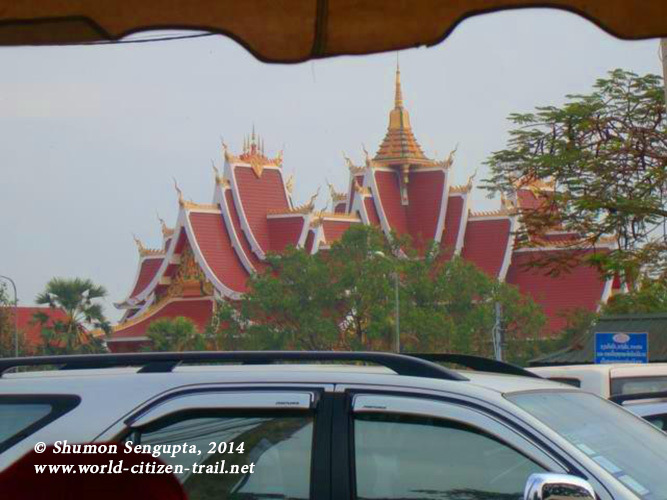 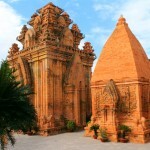 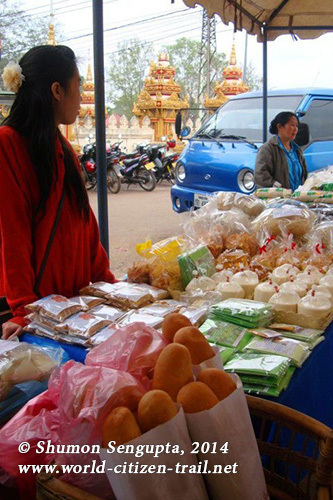 I pulled Minnie and Nina out of bed and took them to the organic market in the shadows of the ancient That Luang stupa. 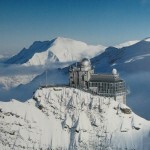 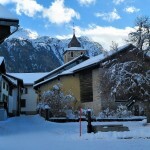 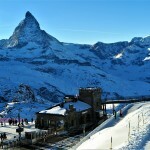 The morning was bright, sparkling, crisp and cool. 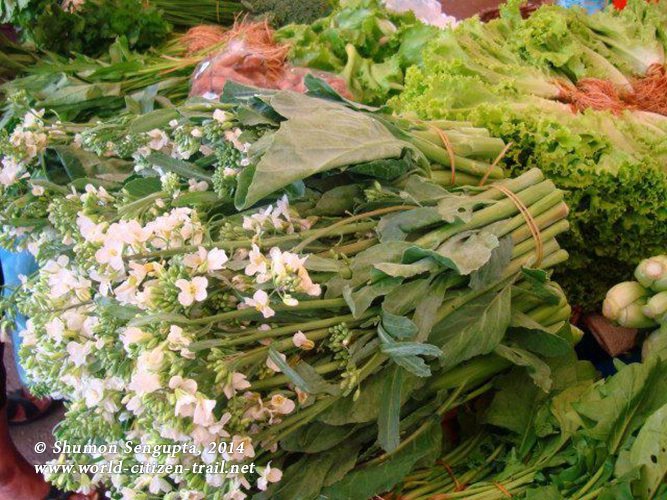 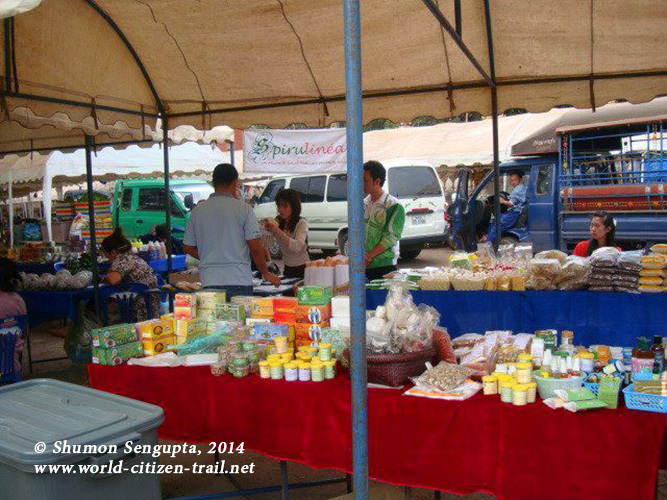 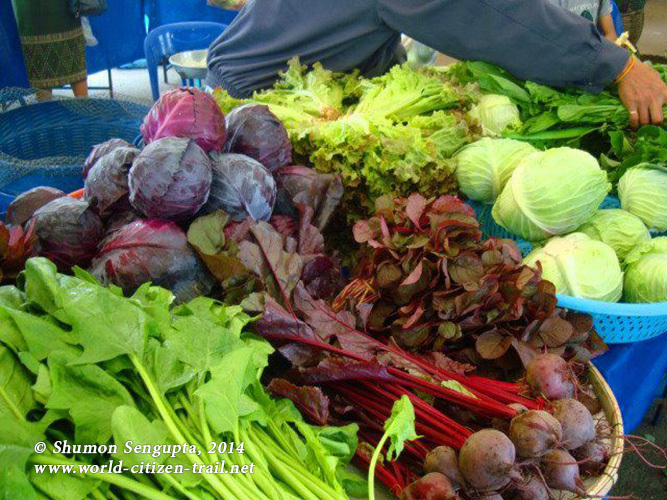 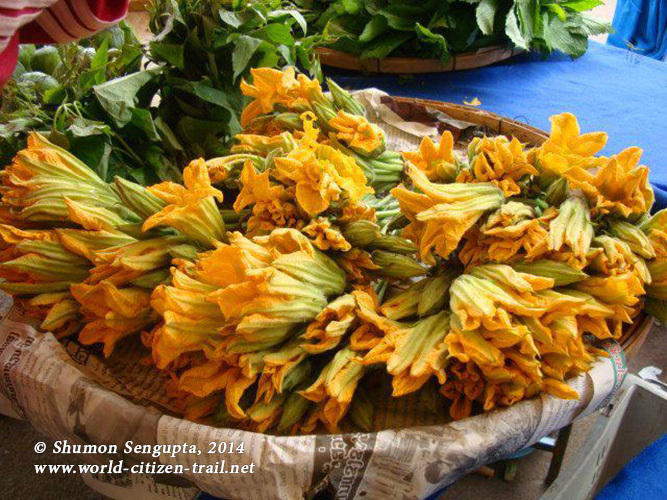 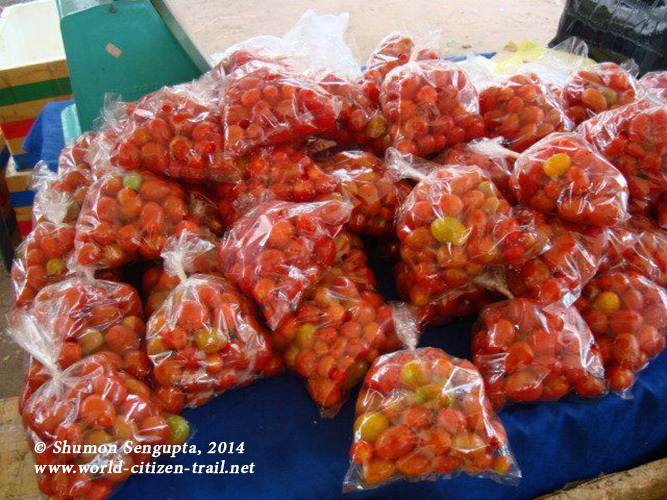 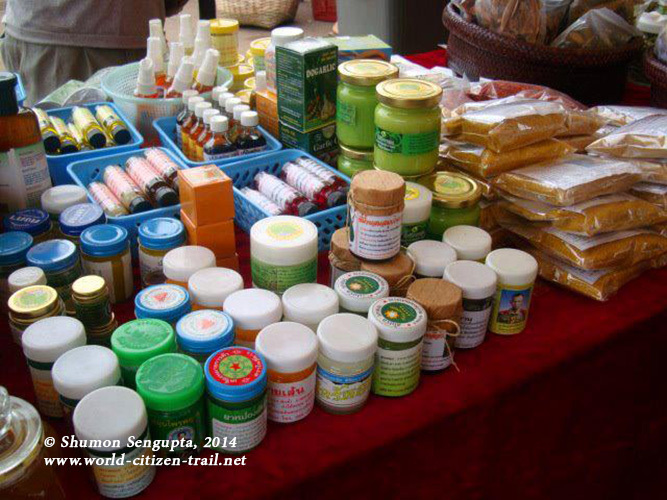 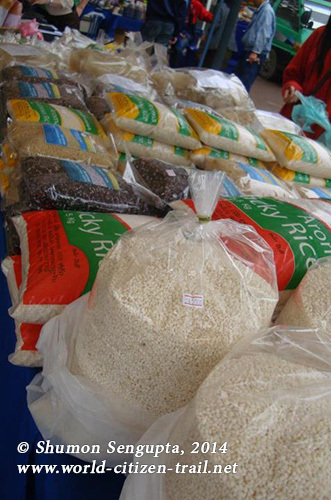 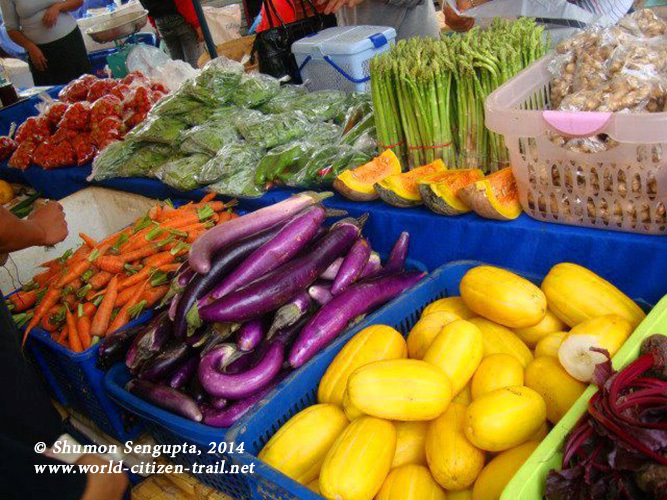 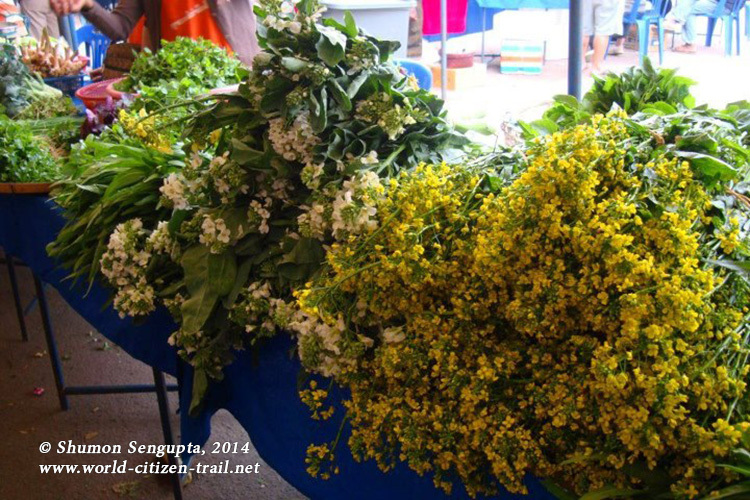 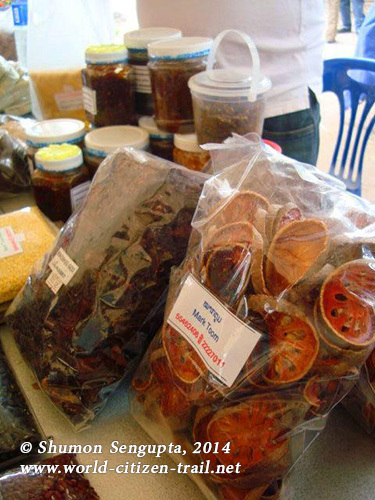 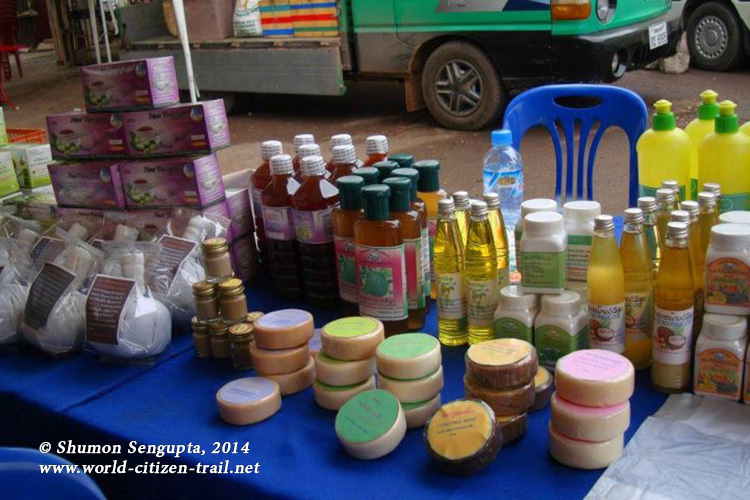 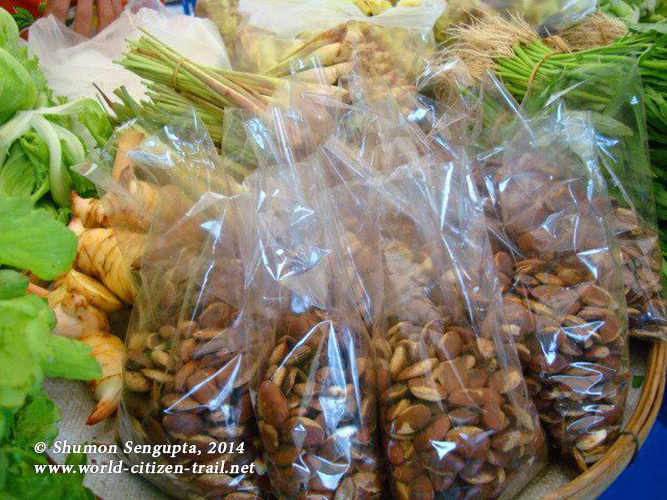 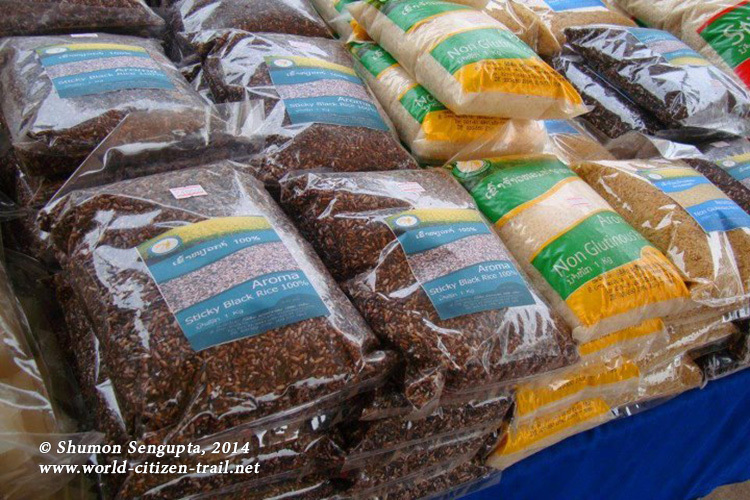 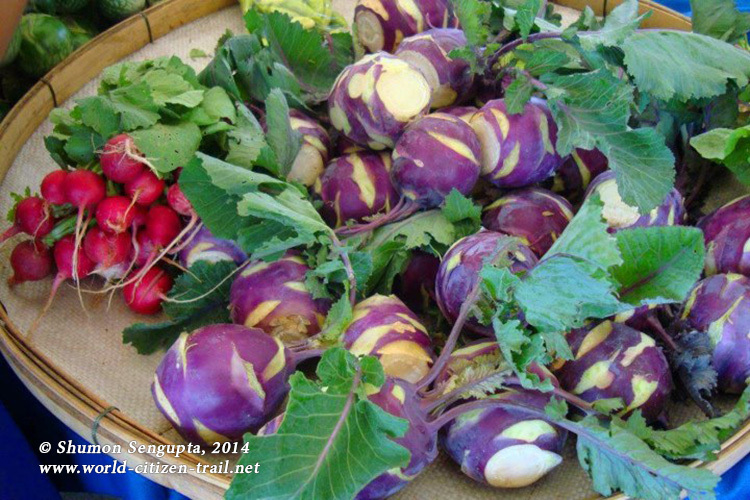 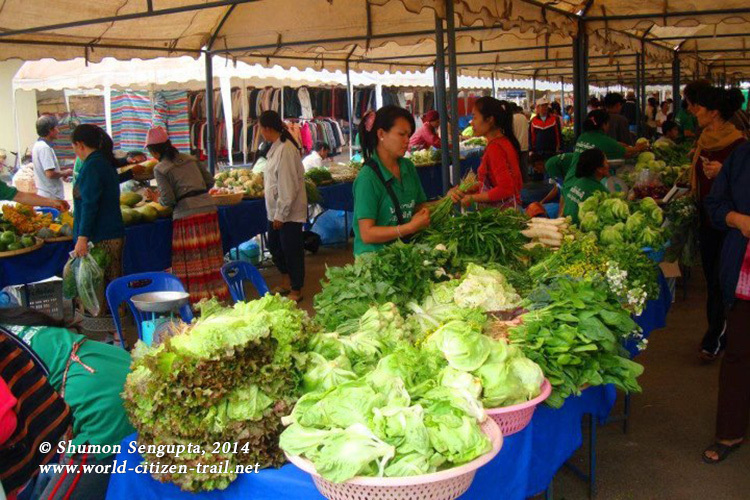 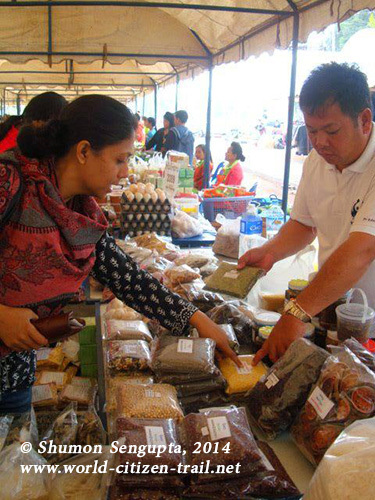 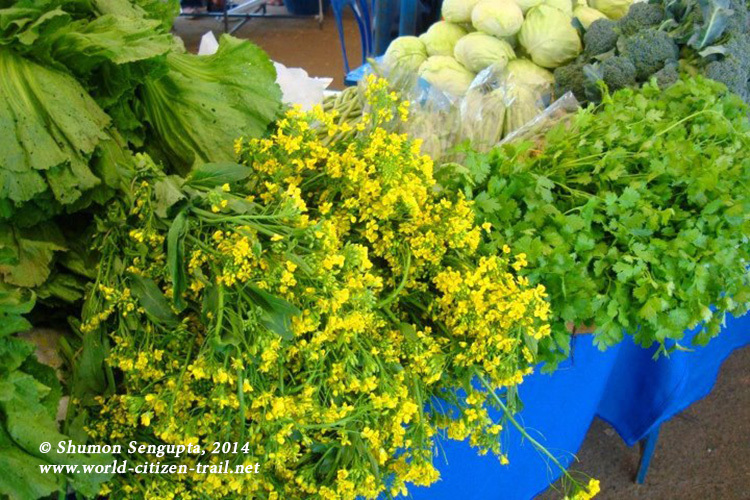 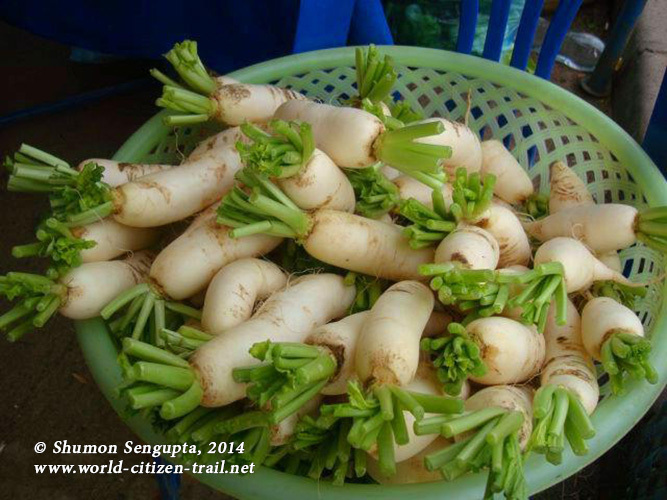 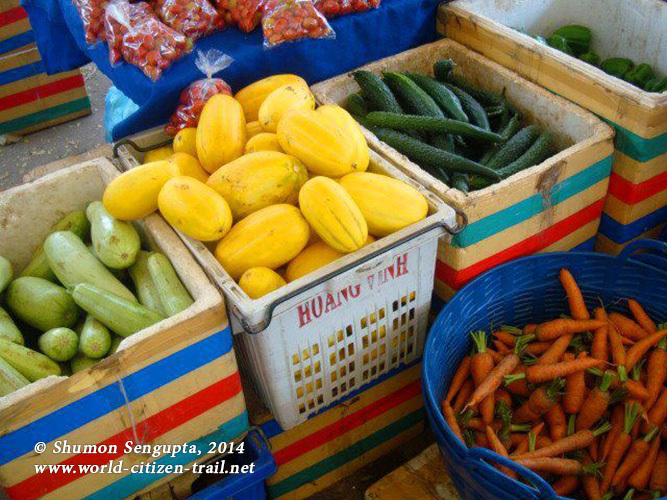 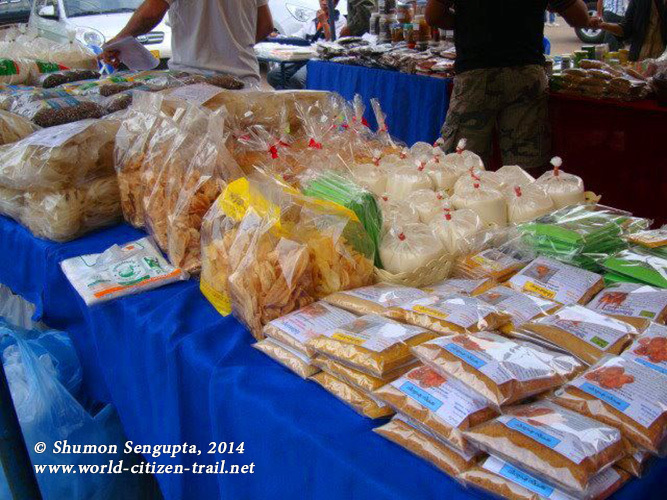 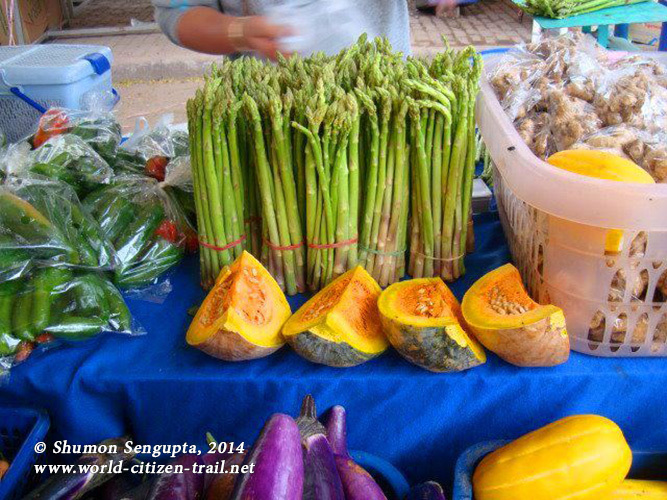 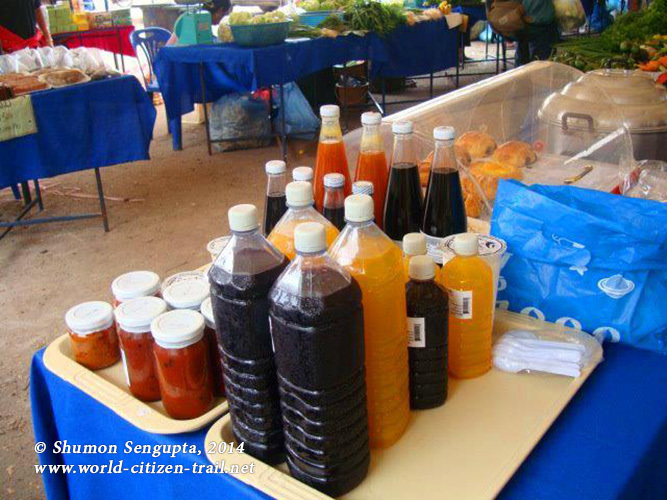 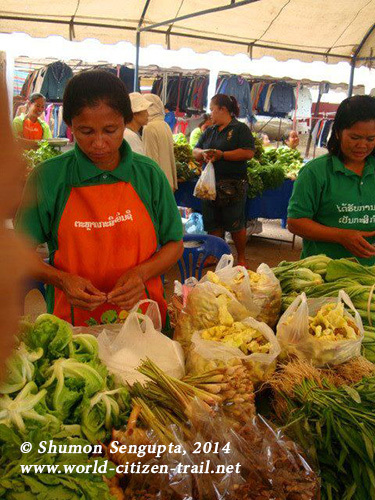 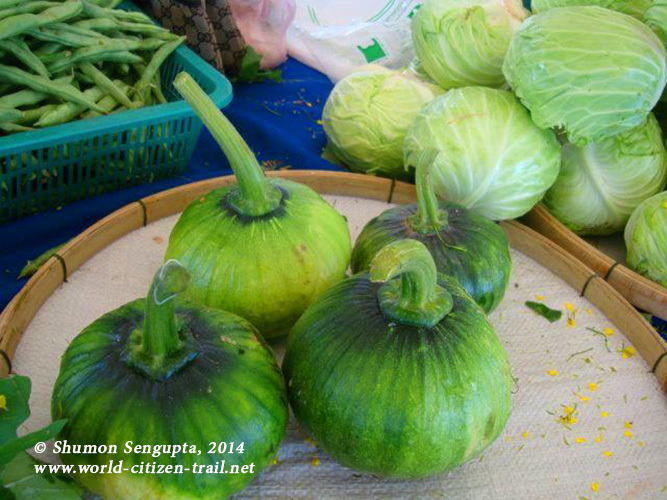 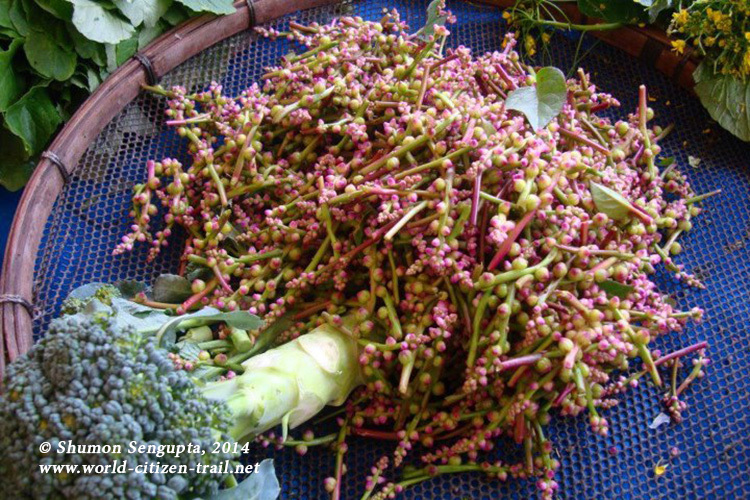 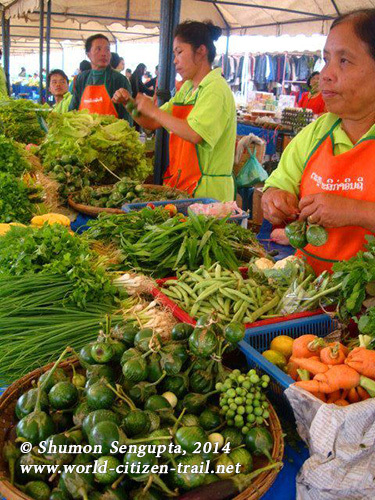 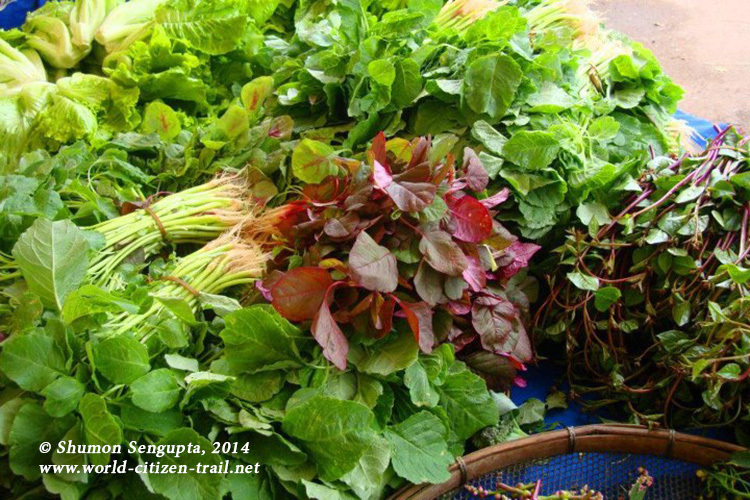 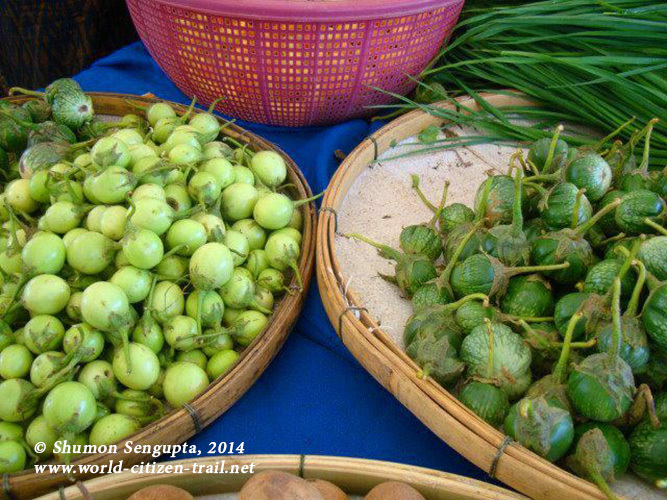 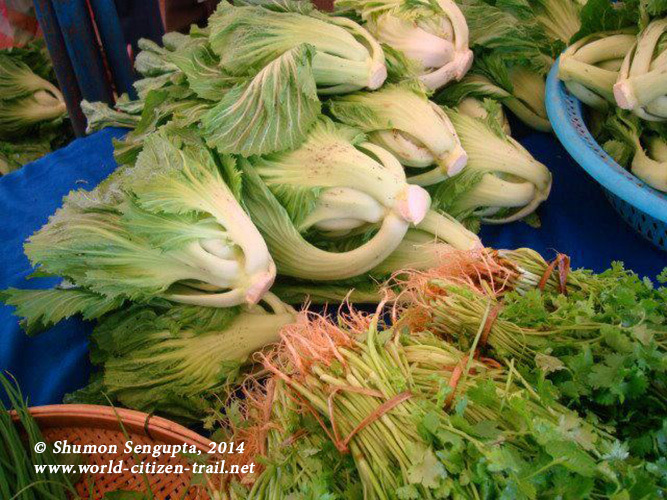 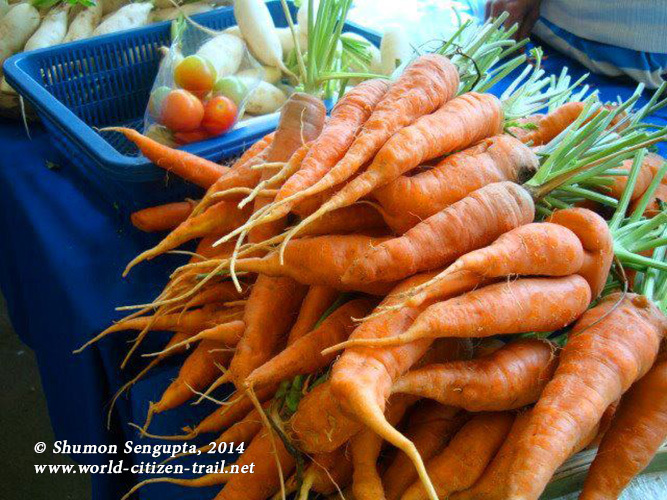 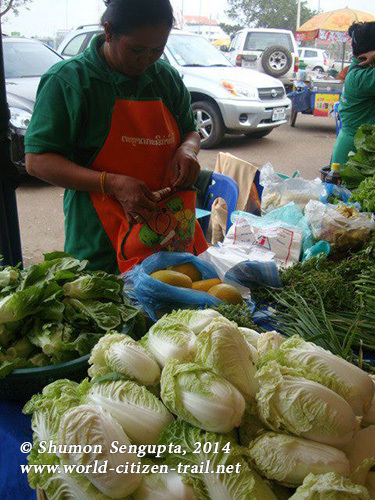 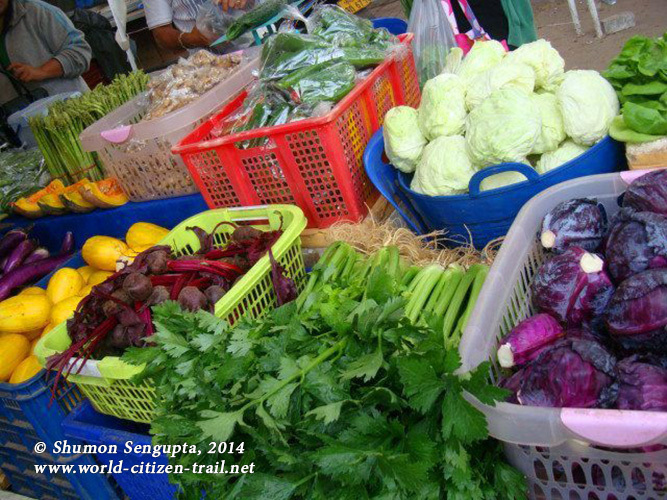 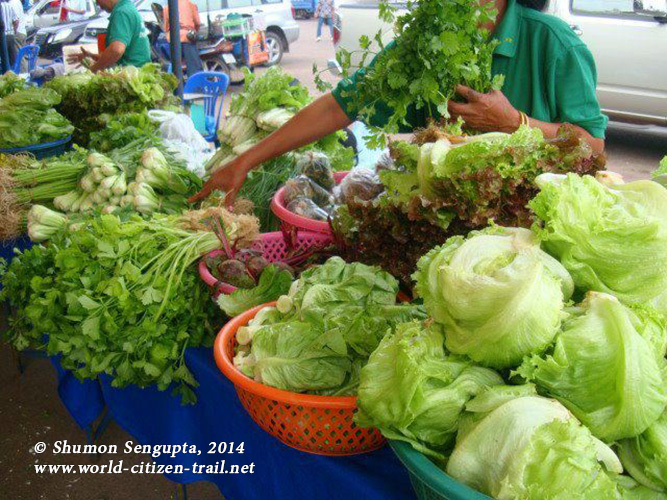 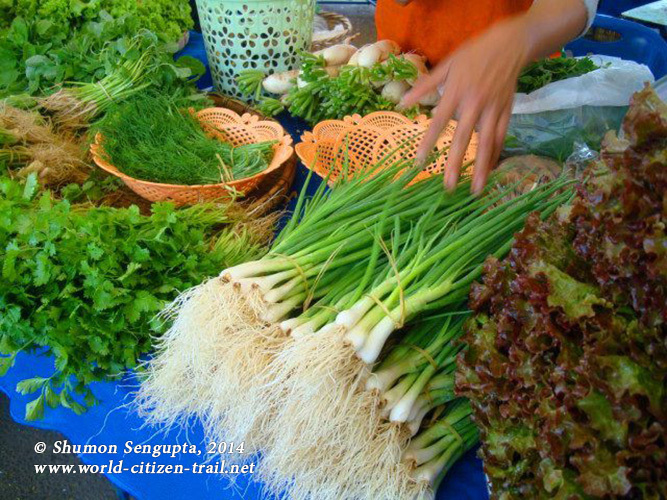 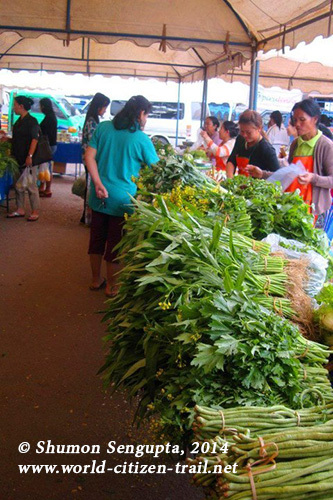 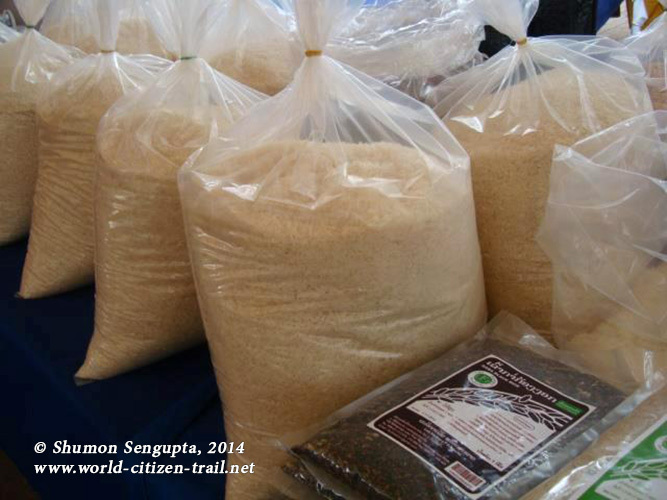 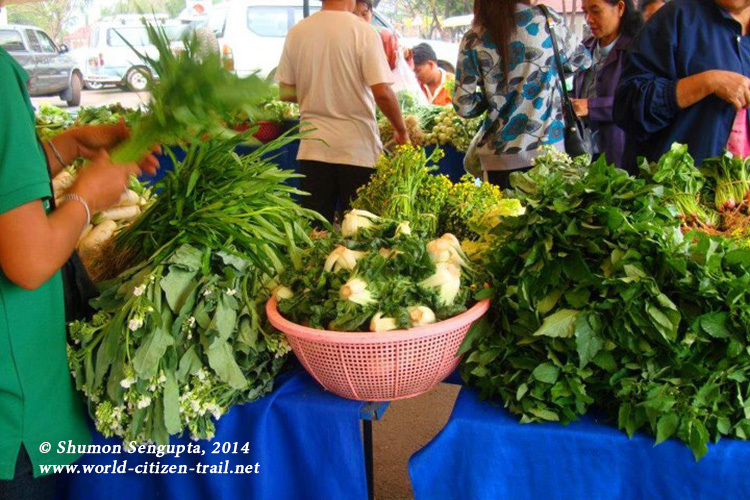 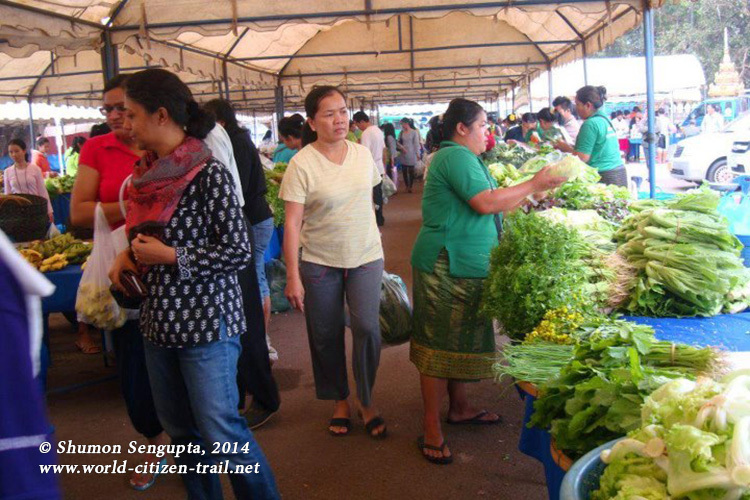 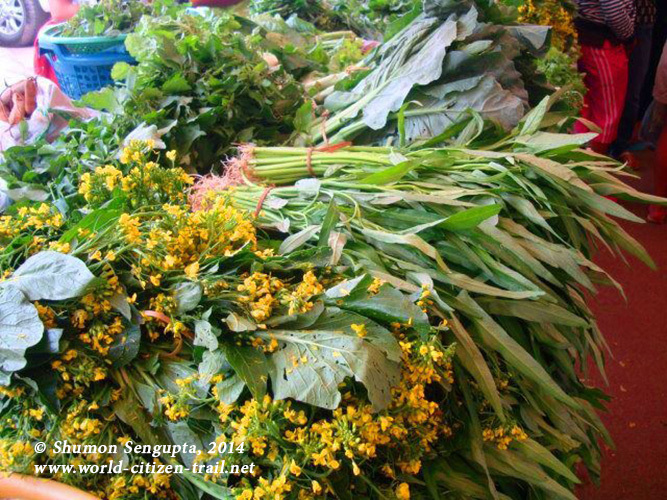 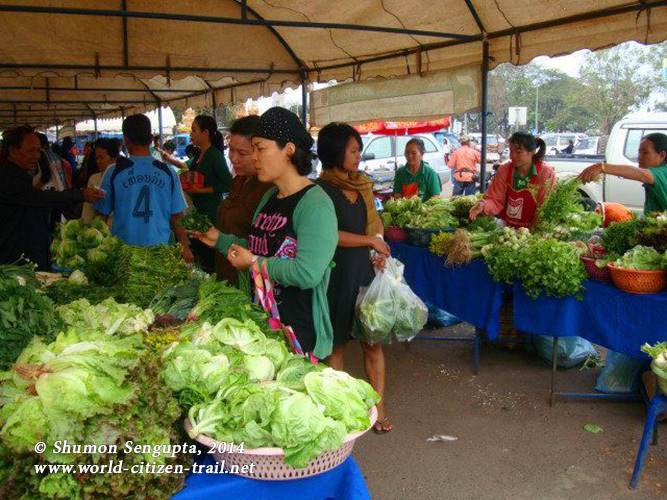 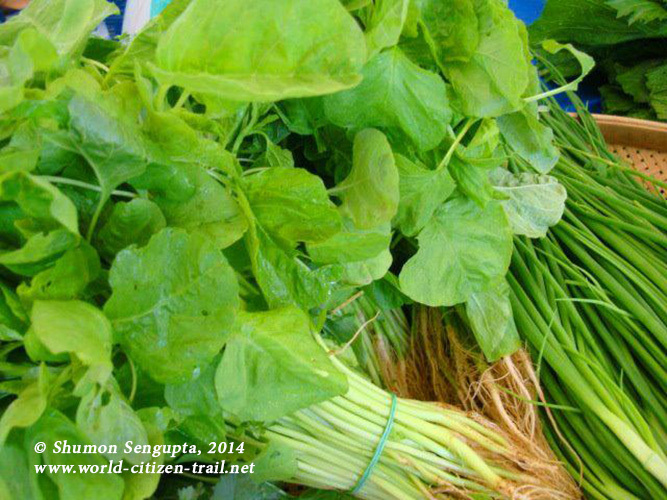 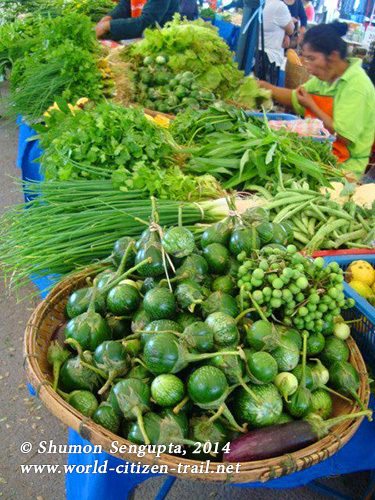 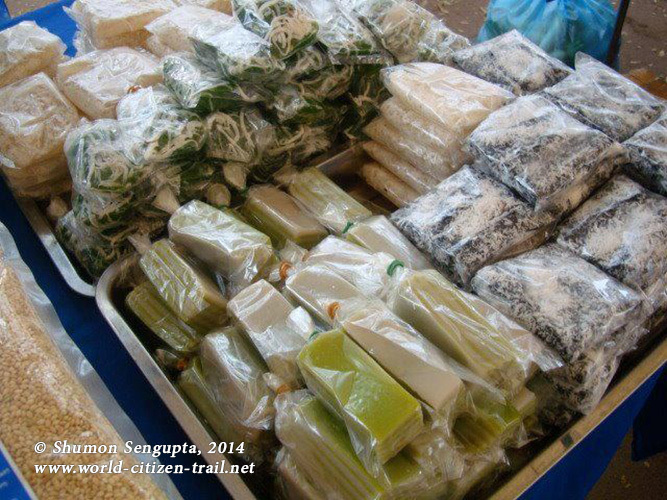 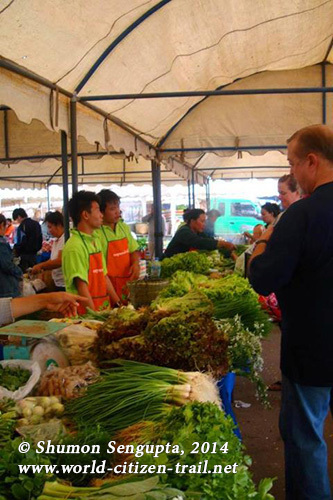 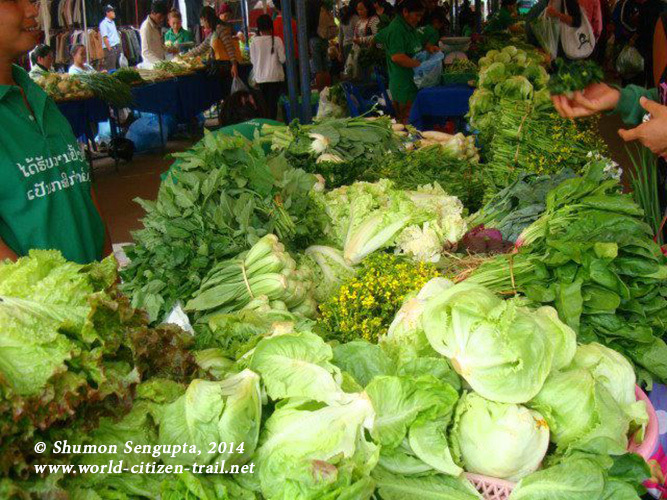 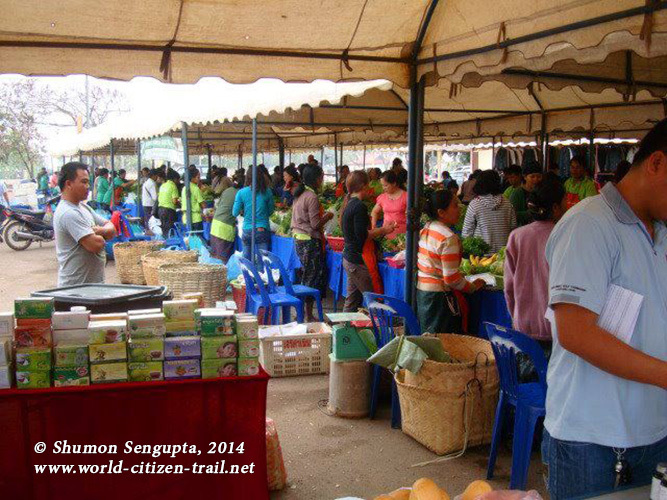 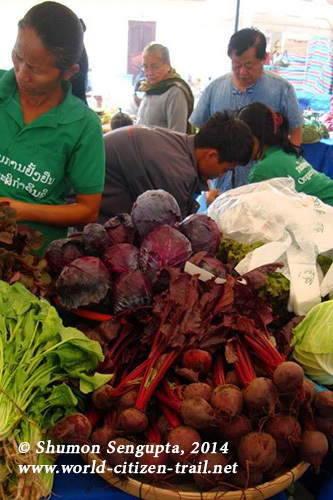 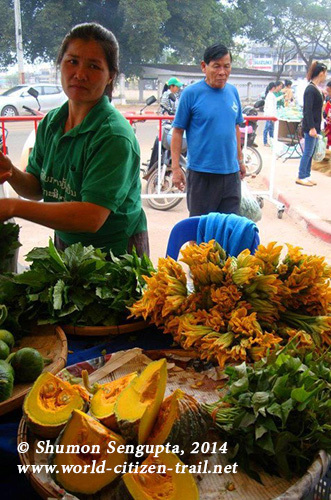 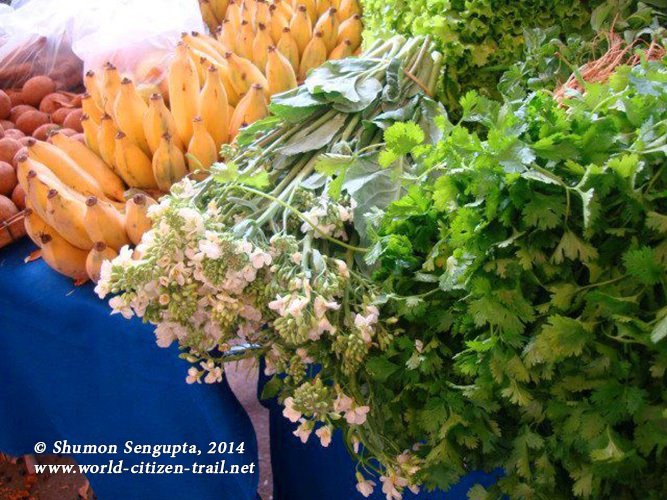 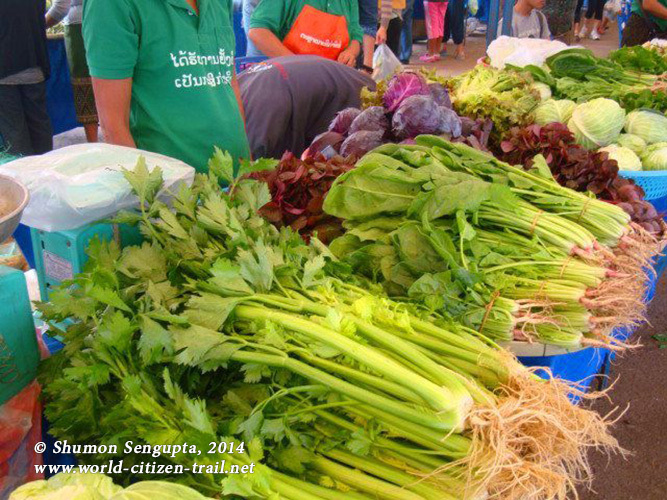 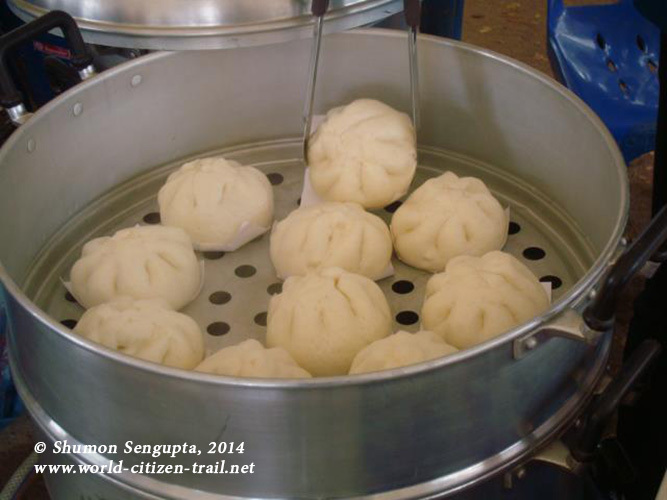 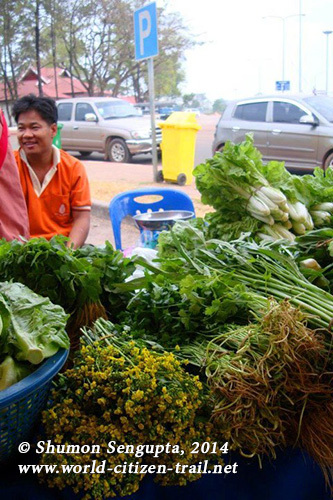 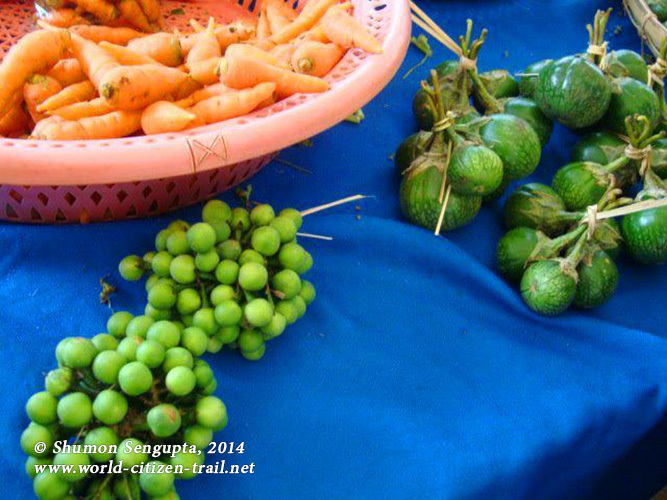 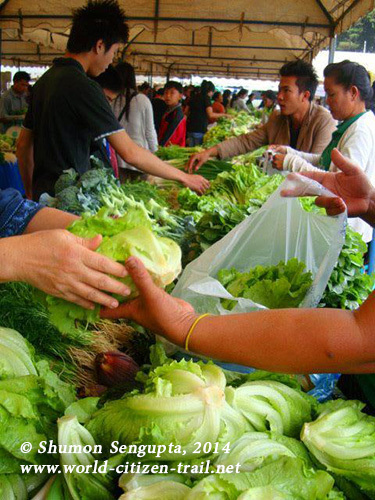 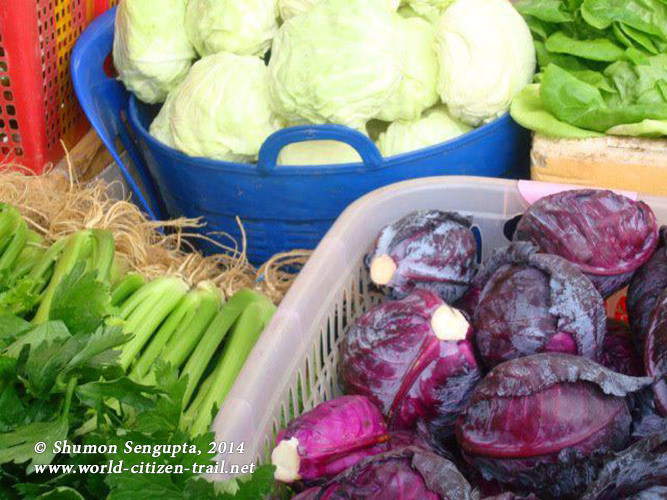 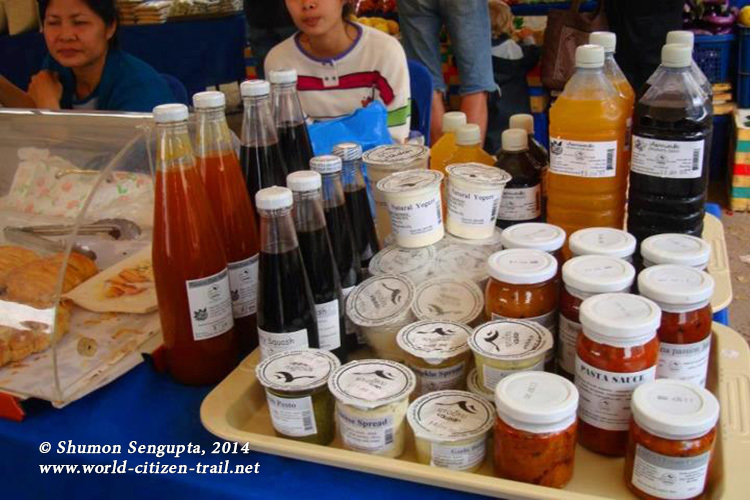 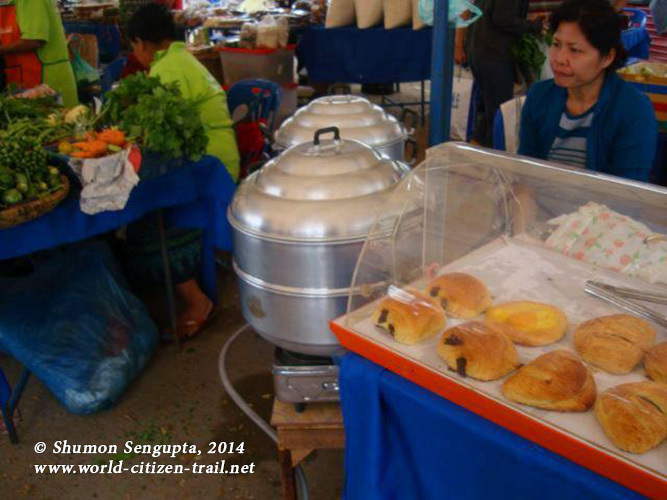 The bi-weekly morning market (Saturdays and Wednesdays) is run by the Organic farmers’ association of Vientiane. 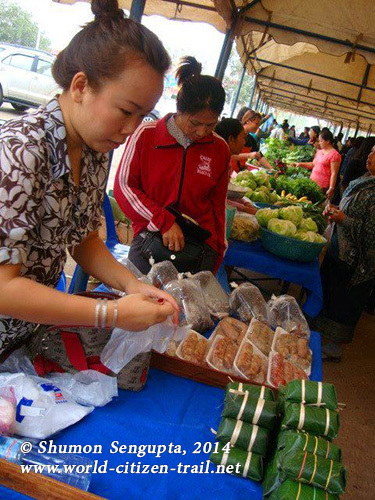 Apart from a mind boggling array of fresh vegetables of all colours and shapes which is an absolute delight to the senses, this market also boasts of different freshly produced soya and corn products, roasted edible seeds, organic jams and preserves and medicinal herbs sold by friendly and charming Laotians. 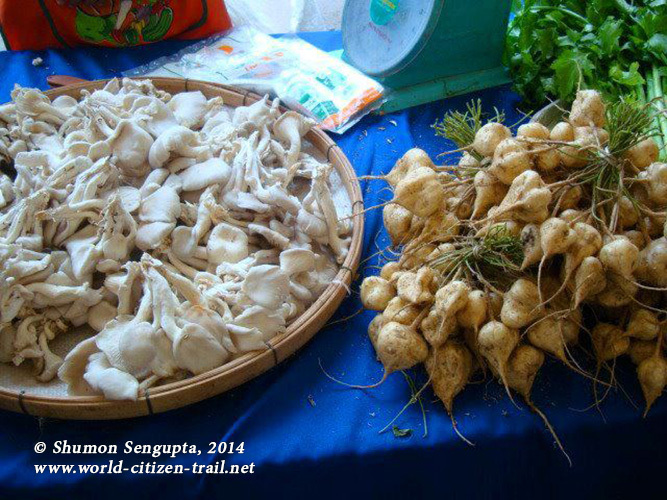 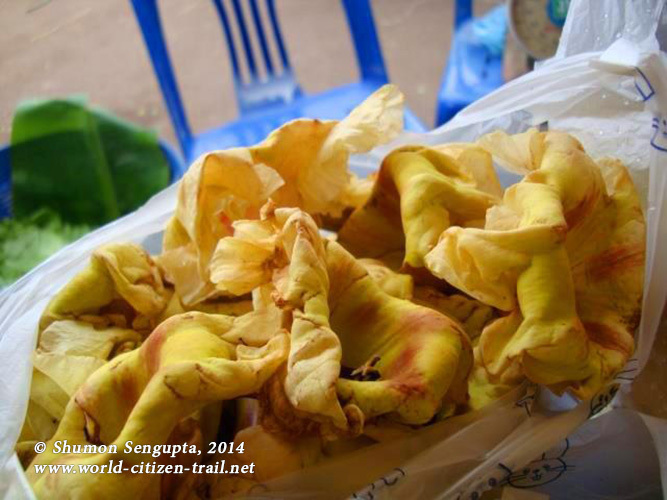 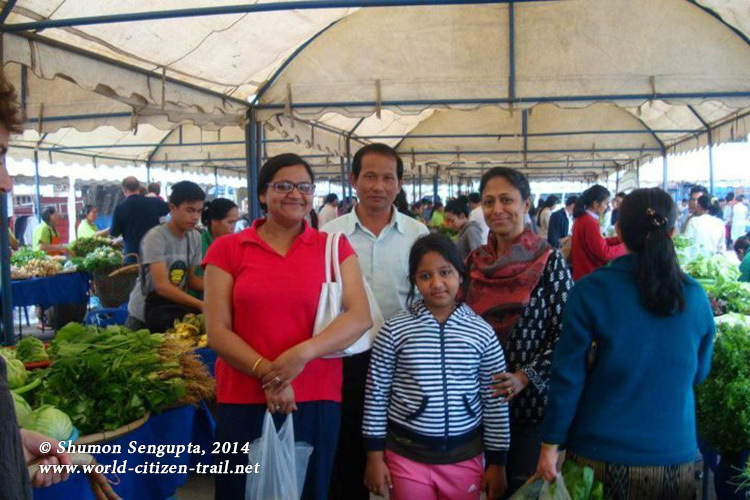 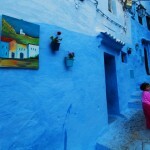 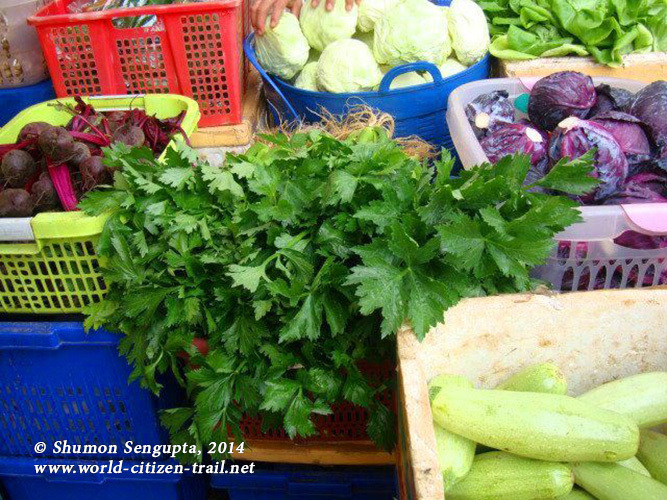 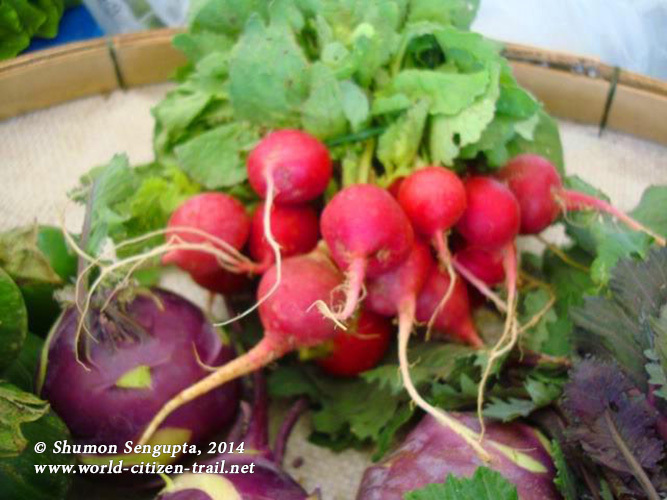 I leave you with an album of this incredible organic vegetable market.